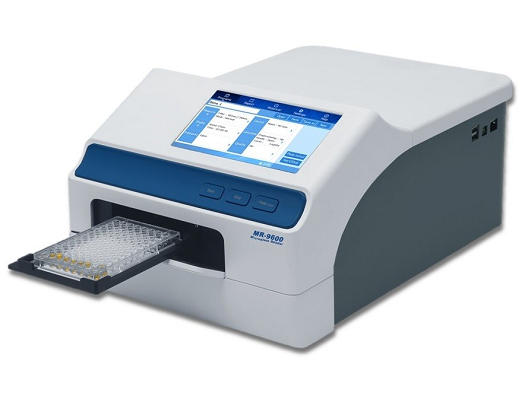 The EL800 Absorbance Microplate Reader is a single-channel reader-assay system, designed to automatically perform endpoint analysis for a variety of ELISA-based applications. 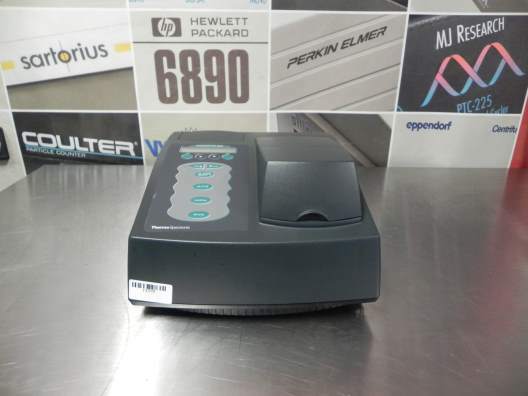 The reader can measure the optical density of solutions in 96-well microplates. 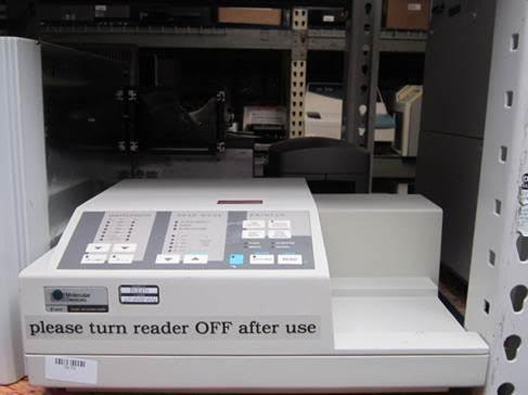 The reader features superior optical specifications, with an extended dynamic range of up to 3.000 absorbance units in some read modes. The wavelength range is from 400 nm to 750nm. 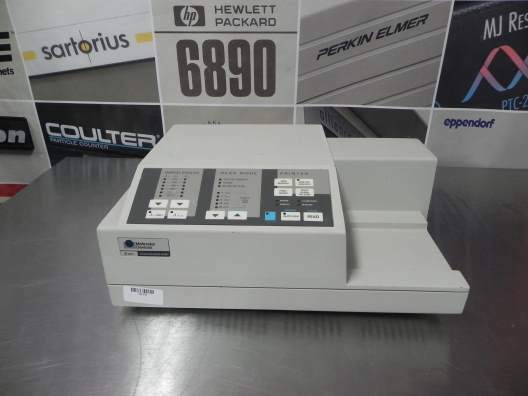 The EL800 is designed to serve as a stand-alone system, or as part of a larger laboratory data network, sending, receiving, and manipulating assay data as needed. It features a 5-position filter wheel. 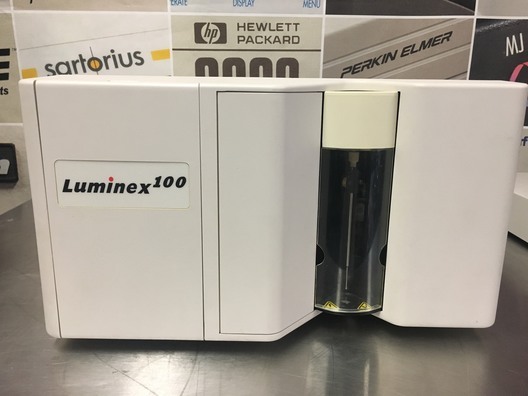 The EMax Endpoint ELISA Microplate Reader from Molecular Devices, one of the pioneers in microplate detection, offers a ruggedly simple approach to dedicated endpoint assays. 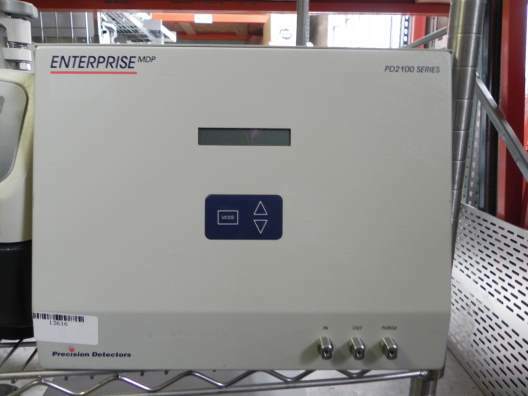 A staggering mean time between failure (MTBF) of 20,000 hours is achieved by 97 independent and stationary fiber optics so that the microplate remains stationary during the entire reading cycle, reducing the number of moving parts. 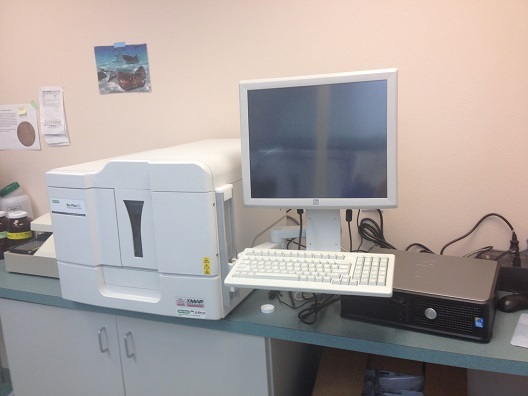 No optical alignment needed during the lifetime of the instrument! Dimensions (H x W x D):4 x 18.3 x 13.4 in. 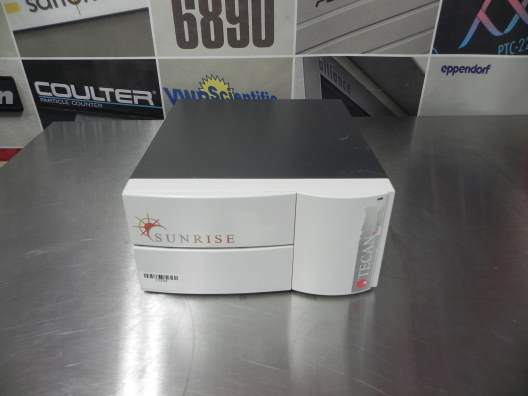 The VMax Kinetic ELISA Microplate Reader, the first of its kind for monitoring reactions over time, opened the door to enzyme assays and continues to be the workhorse of the laboratory environment. 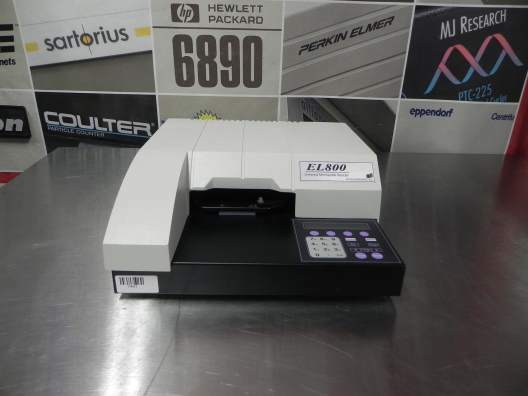 The VMax Microplate Reader is capable of reading up to two wavelengths at a time in the visible wavelength spectrum (400nm–750nm), with 4 filter choices included at time of purchase. 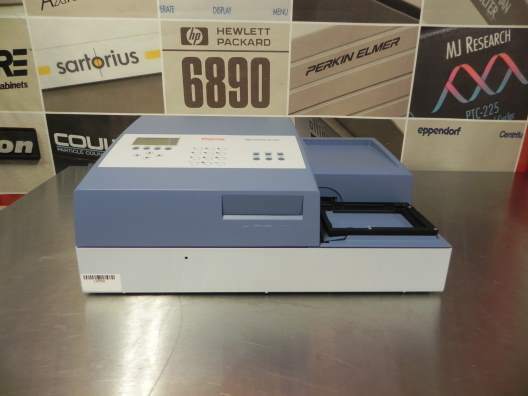 The ThermoMax is an efficient, temperature-regulated, 96 well microplate reader. 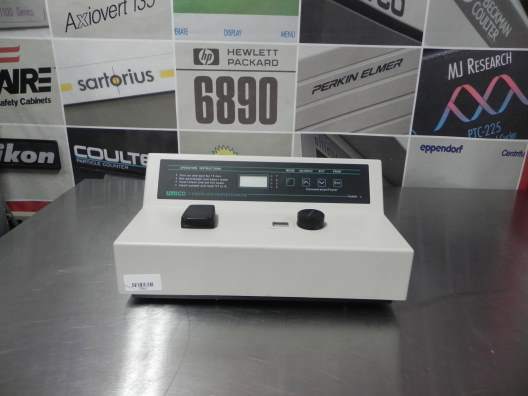 With various on-board features and capabilities, the ThermoMax is ideal for use in modern laboratories involved in many applications. 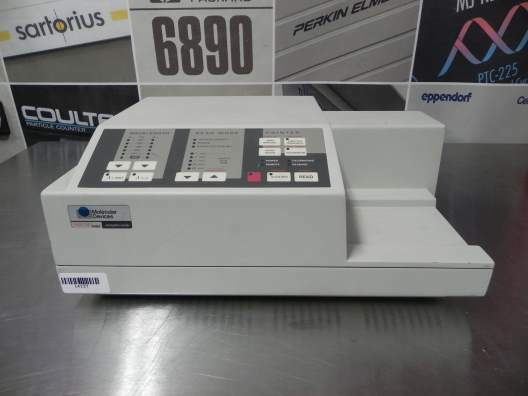 The ThermoMax performs automatic mixing before a reading and between readings to ensure reliable and precise results. The Microsoft Windows-based software guarantees smooth operation as it includes single and dual wavelength read, kinetic readings, automix (shake), endpoints, blank patterns, as well as curve fits. 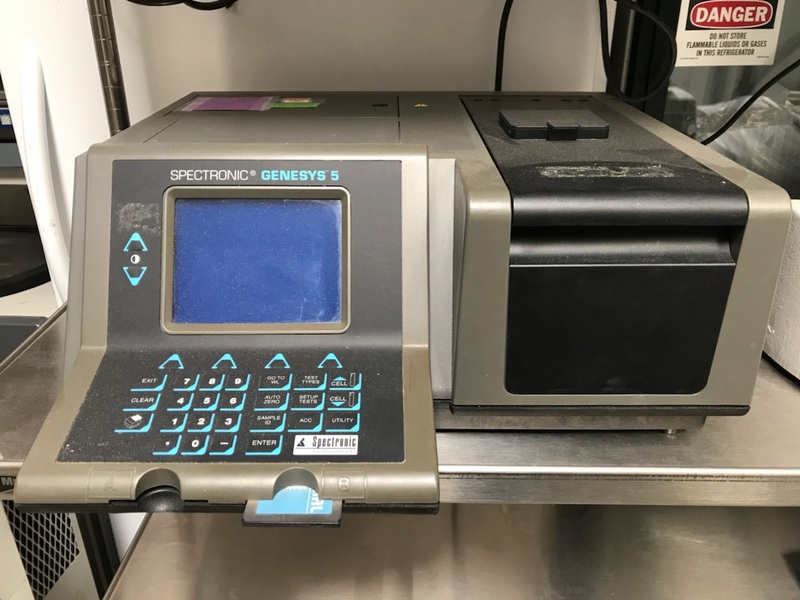 The ThermoMax microplate reader provides thermal control and vertical shake, perfect for kinetic readings involving growth curves at 5 seconds per plate. 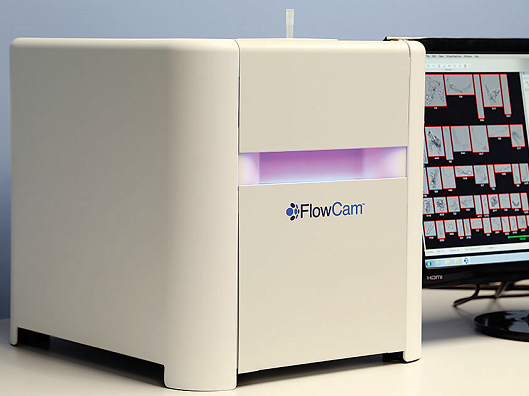 The system can perform readings in a photometric analysis mode as well as kinetic analysis at user-configurable kinetic ranges and intervals, run on-board and temperature regulation diagnostics. Kinetic read time: 5 second minimum between readings. Endpoint read time: 6 sec. Modes: Single wavelength, Dual wavelength, Kinetics, Range, Blank pattern.